Fruit from both the Black Sage Bench and Golden Mile sub-appellations come together in an elegant and refined Okanagan tribute to the Rhône Valley. A small amount of Viognier is co-fermented, adding an aromatic lift to a nose of freshly cracked black pepper, spice, and soft red fruit. Balanced oak integration in a relatively cool vintage was paramount in allowing this wine to remain remarkably fresh. Cuvee Classic is the North Oliver LVP syrah picked at 3.15 tons to acre that spends 13 months in 32 percent new French oak barrels. A little more New World and a little less Old World in a warm 2014. 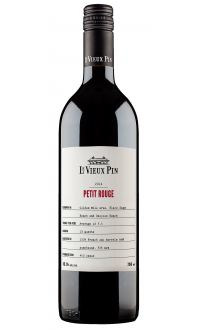 It’s still savoury and brooding, with plenty of floral black fruits, a whack of meaty bacon fat and cracked black pepper. The acidity is prominent but it falls in line at the back end. Grilled lamb seems such a natural fit here but anything big and meaty will work. Or, be rewarded with three to five years in the cellar. 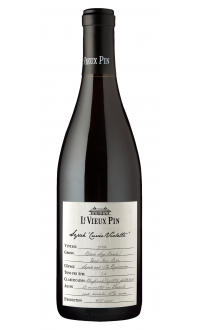 Sommelier Michelle Bouffard chose this Syrah as one of her favourites for the holidays on the Wine Blog. 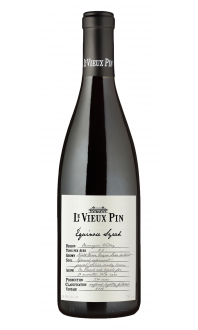 Check out what she said about La Vieux Pin's 2014 'Cuvée Classique' Syrah here: https://mywinecanada.com/wineblog/top-holiday-wine-gifts.